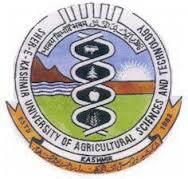 Medical Officer Vacancy – Last Date 28 March 2019 (Srinagar, Jammu and Kashmir), Sher-e-Kashmir University of Agricultural Sciences and Technology of Kashmir (SKUAST-Kashmir) recruits Medical Officer post. MBBS, MD experienced candidates can apply. Last date for submission of the application is by or before 28 th March, 2019. Interview will be held on 2 nd April 2019 at 10.30 am in the office chamber of the Head, Division of Environmental Sciences SKUAST Kashmir Shalimar campus No TA / DA will be paid to the candidates. In case 2 nd April 2019 happens to be off day /strike / holiday, the interview shall be conducted on the next working day. JPF Vacancy – Last Date 28 March 2019 (Srinagar, Jammu and Kashmir), Sher-e-Kashmir University of Agricultural Sciences and Technology of Kashmir (SKUAST-Kashmir) recruits JPF post. M.Sc. experienced candidates can apply.